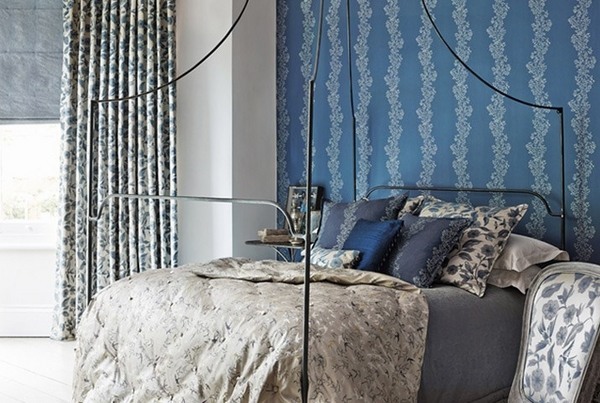 With the revival of the popularity of wallpaper, many designers offer astonishing ideas and fabulous designs which transform a bedroom into a magnificent place. 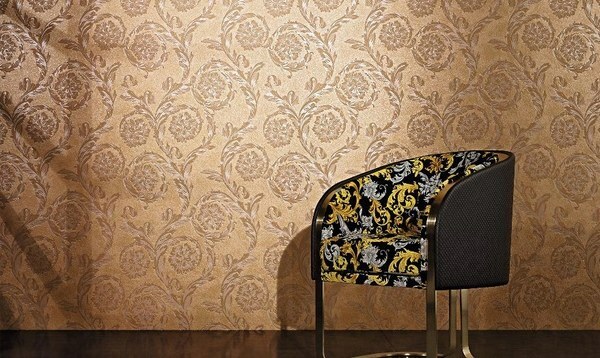 The possibilities are endless and exciting, as the wallpapers are a quick way to change and improve the decor and create a sophisticated and elegant interior. 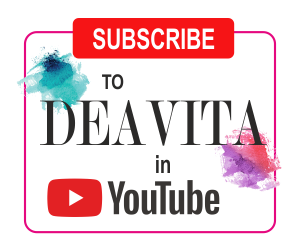 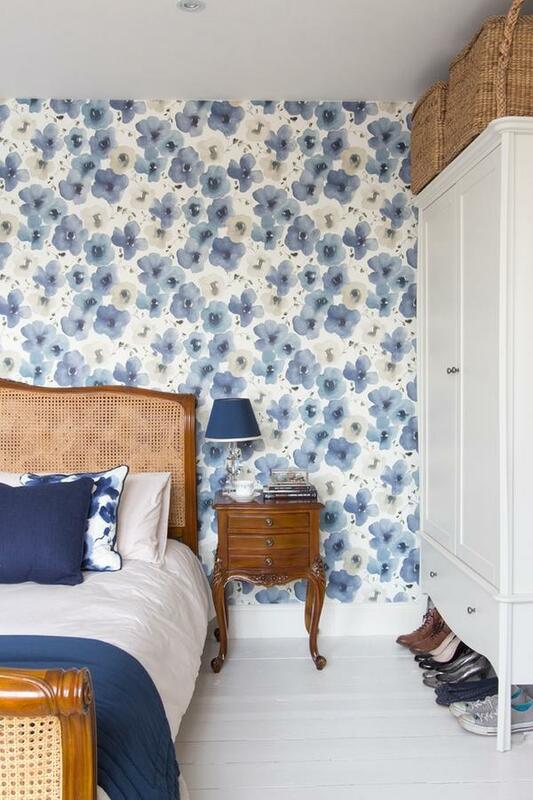 We will show you some of the most popular, fashionable and stylish designer bedroom wallpaper ideas which range from bold stripes, colorful prints, magnificent floral patterns or stylish and ornate patterns. 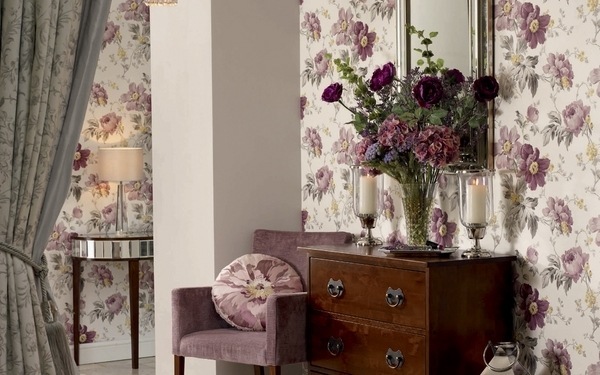 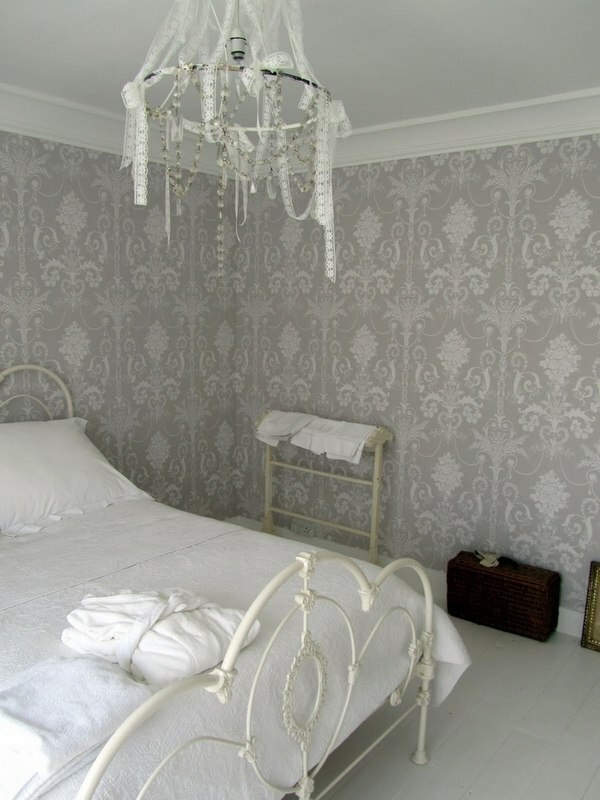 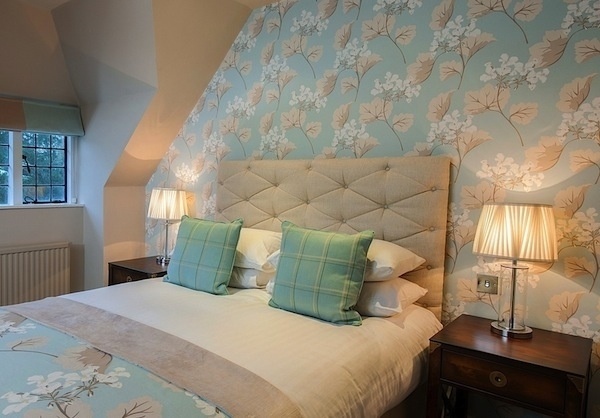 Famous for the delicate and gentle floral designs, Laura Ashley wallpaper is the excellent choice for a romantic atmosphere in the bedroom. 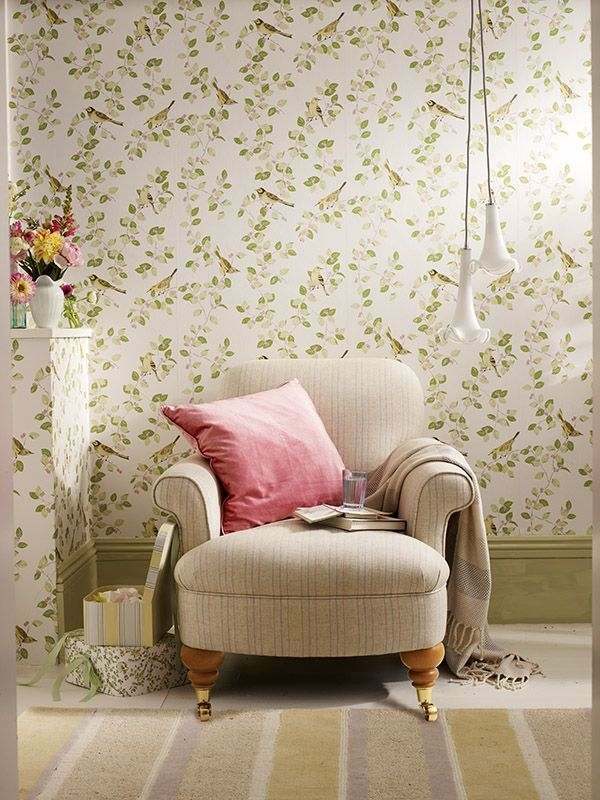 Beautiful pastel colors and elegant flower patterns will create a light and airy vision in the bedroom, a feeling of elegant Shabby Chic and a nostalgic vintage. 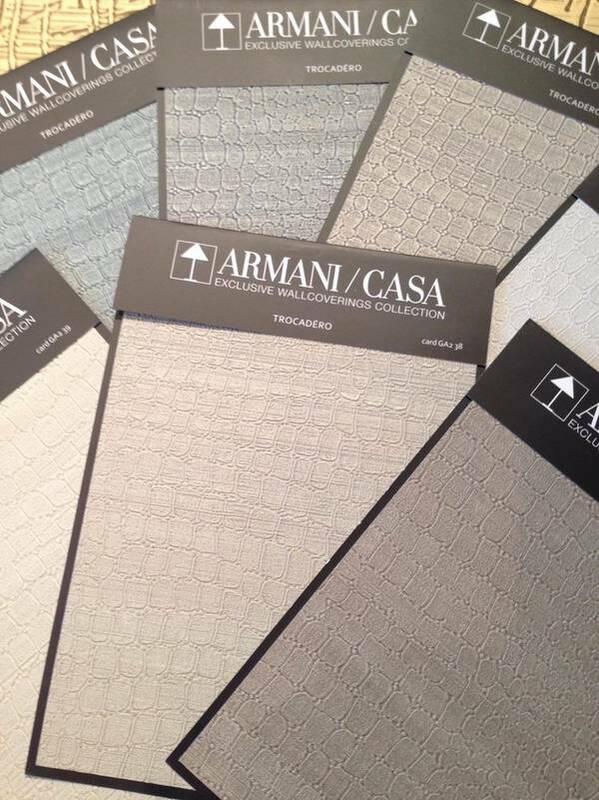 The color options can satisfy every taste – berry and orchid, pale blue, classy silver gray – it is all about elegance and style. 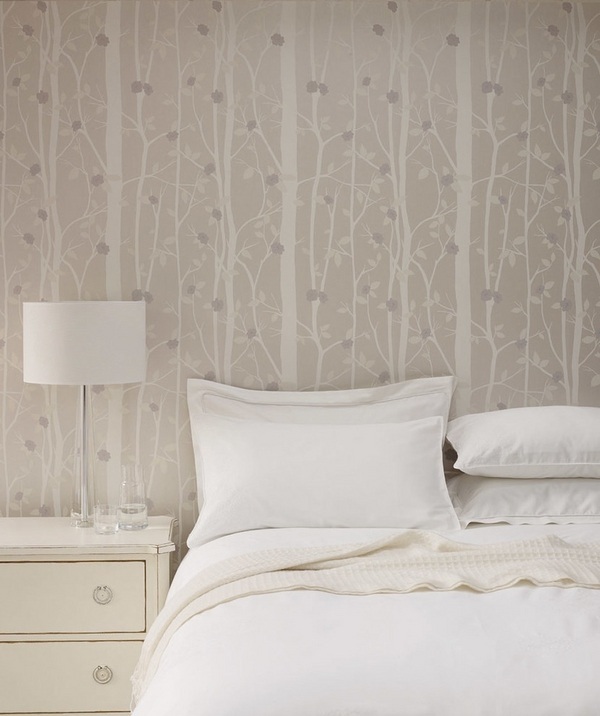 If you prefer more contemporary and bold patterns, the geranium pattern is the right choice for you! 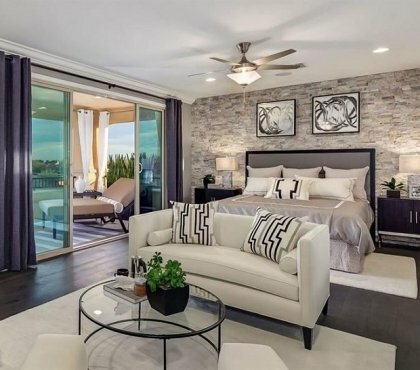 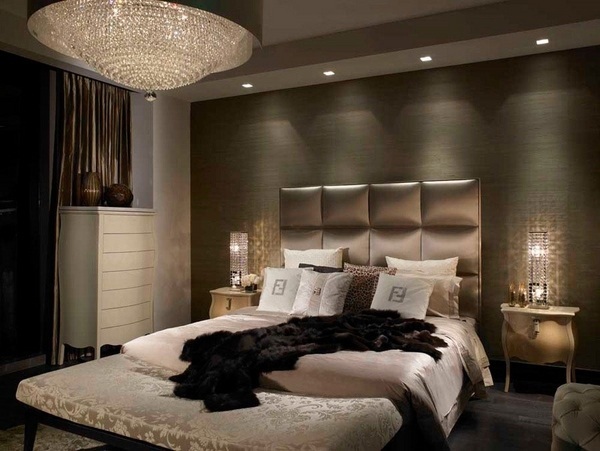 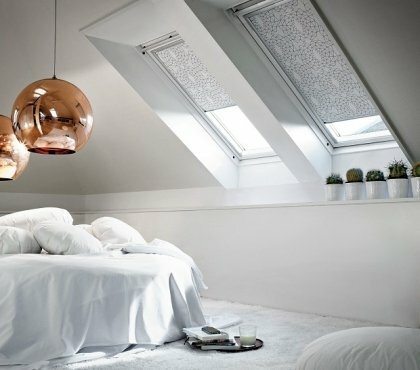 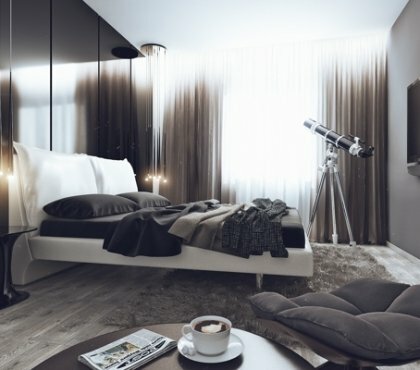 Neutral colors – beige, white, gray – are an excellent backdrop for a perfect bedroom interior. 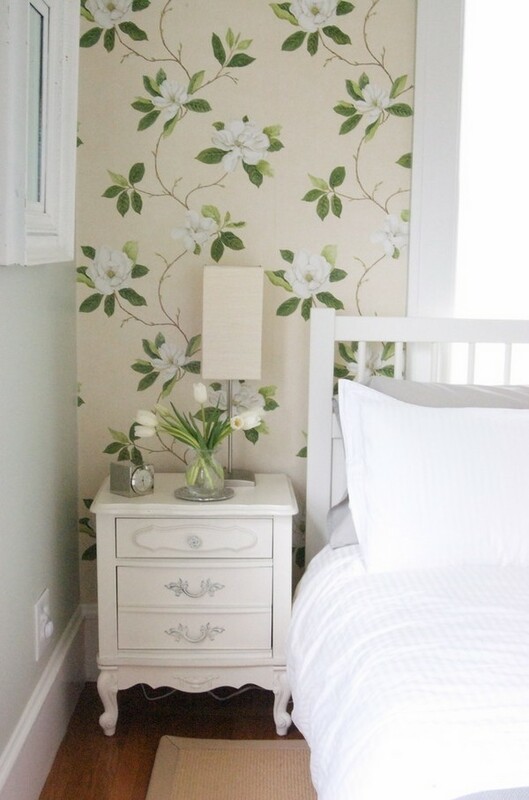 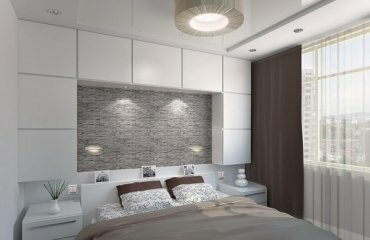 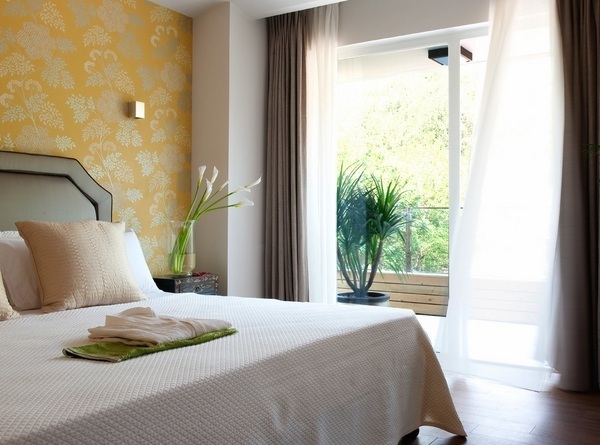 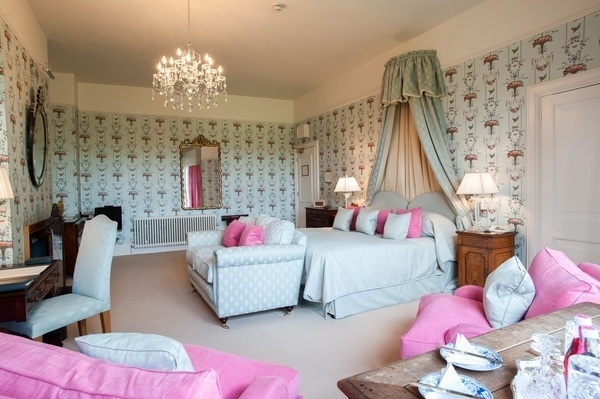 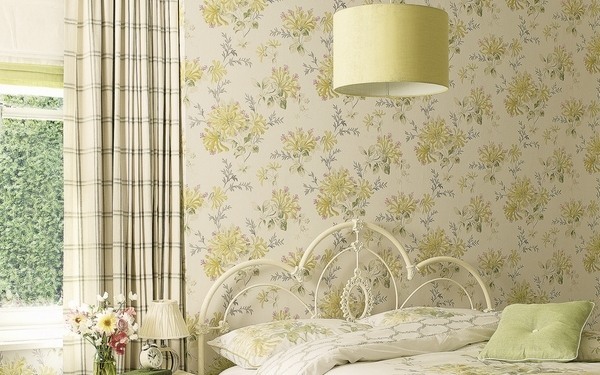 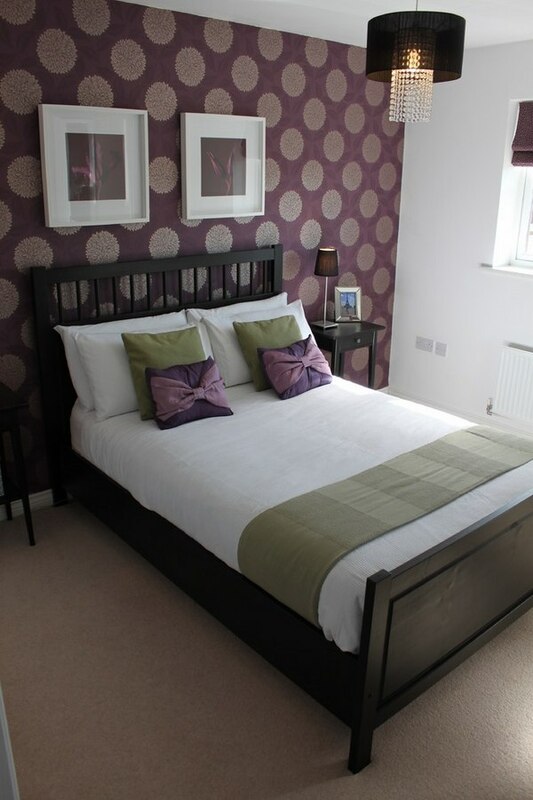 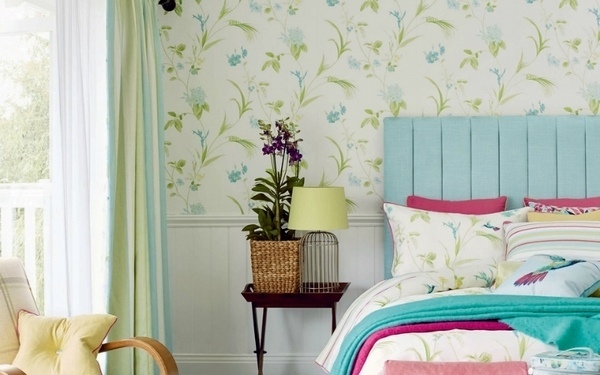 Enjoy the magnificent designer bedroom wallpaper ideas and think of romance, spring and summer! 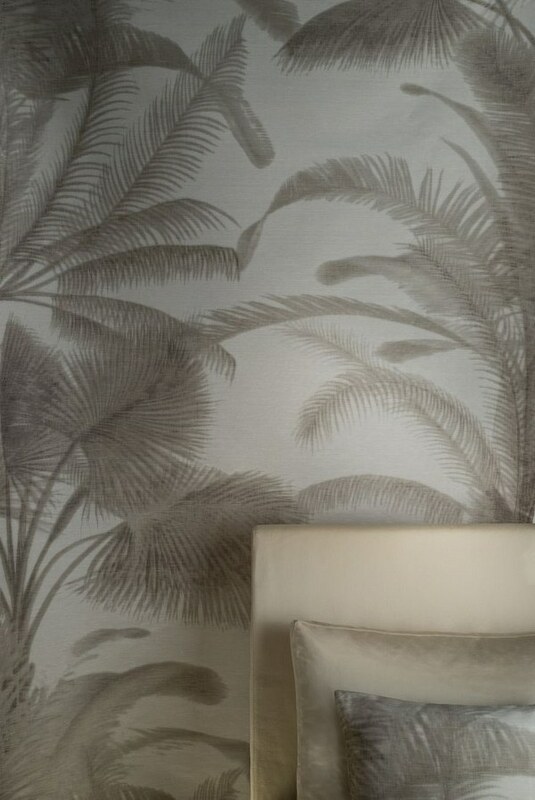 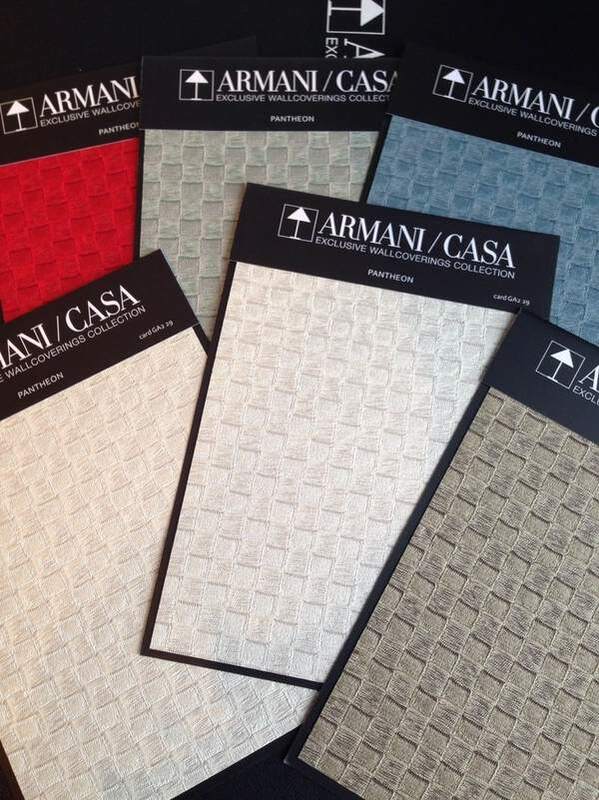 Best known for the glamorous haute couture, Giorgio Armani offers fabulous wallpaper collections. 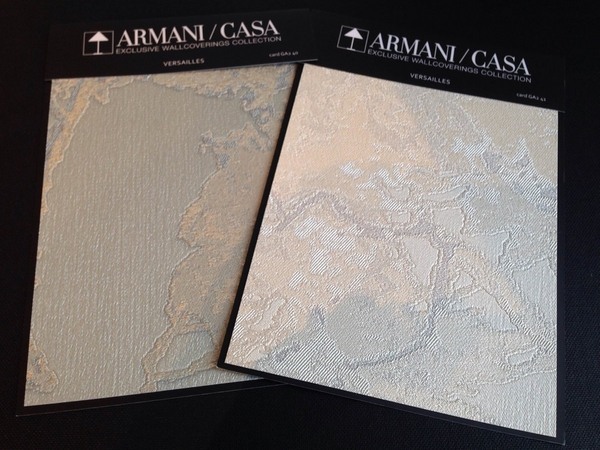 Armani Casa wallpapers combine original and modern printing techniques with refined high quality materials. 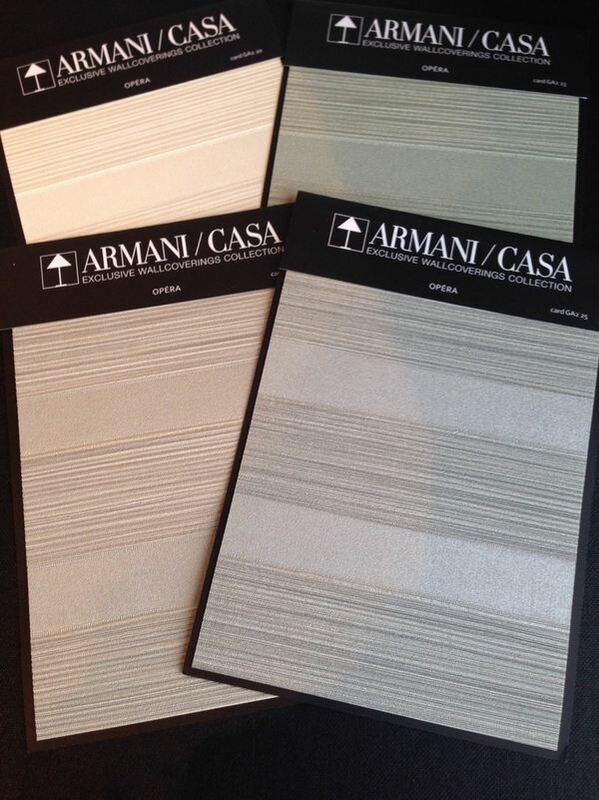 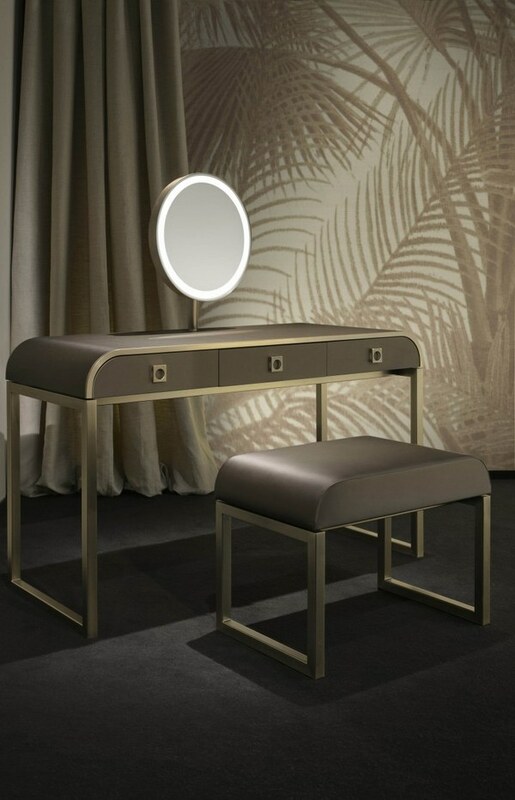 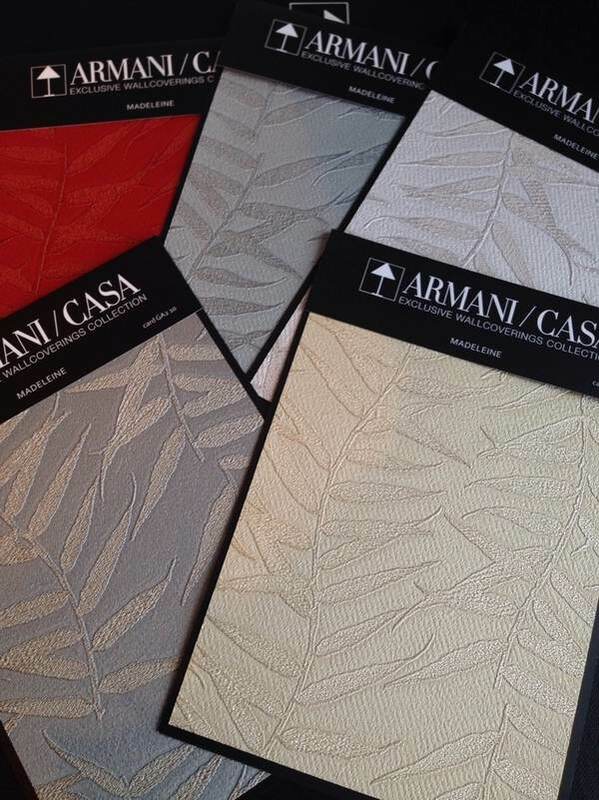 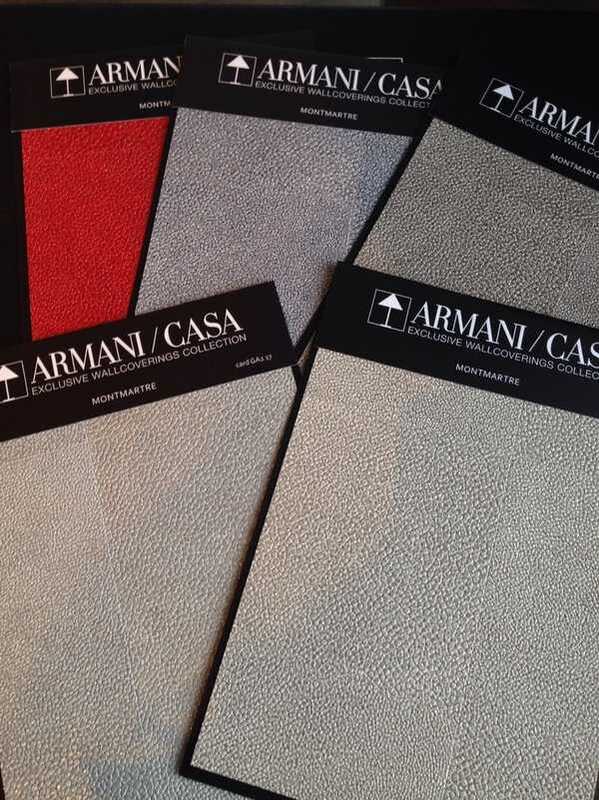 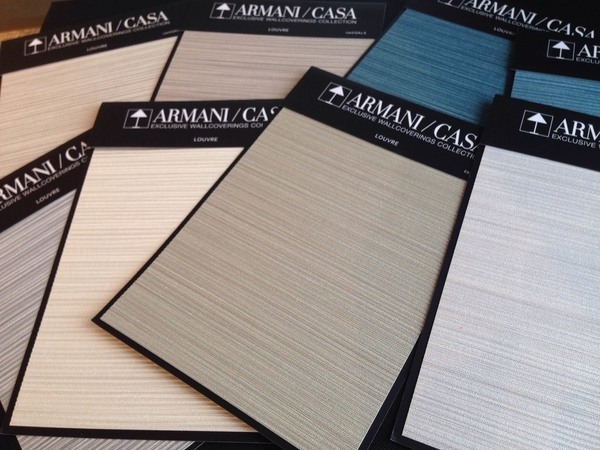 In addition to furniture, lighting and accessories, the presence of Armani casa in the world of interior design is recognized for the inspirational wallcoverings. 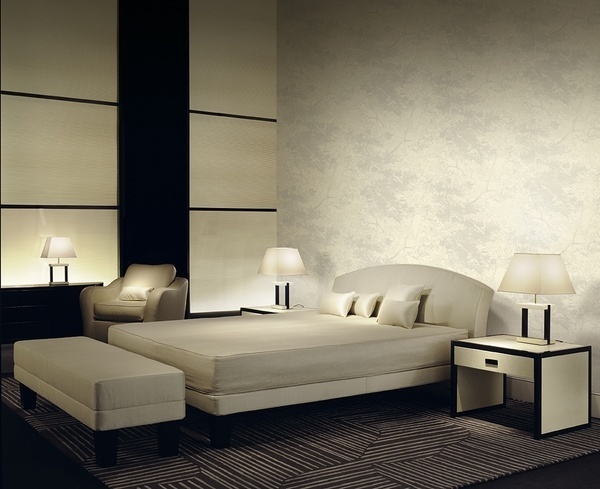 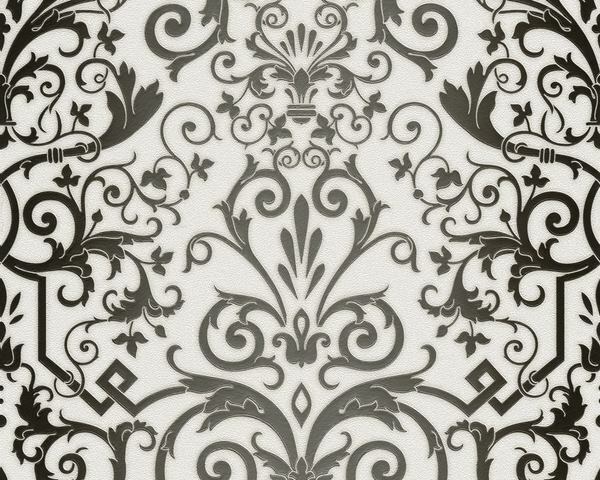 Subtle, sophisticated, classy, the wallpaper designs have his signature charm. 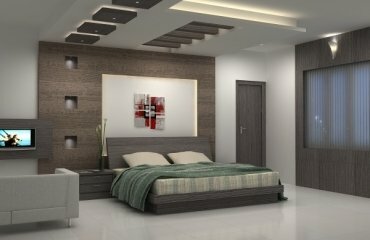 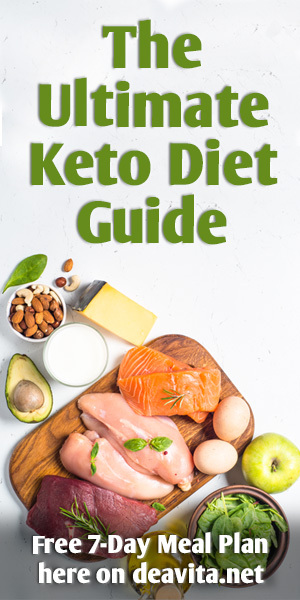 The color palette includes beige, brown, blue, light blue, sage green and gray. 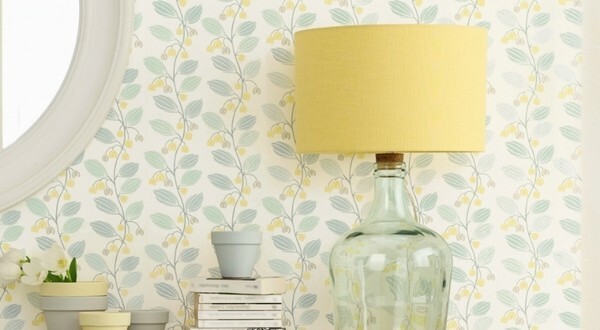 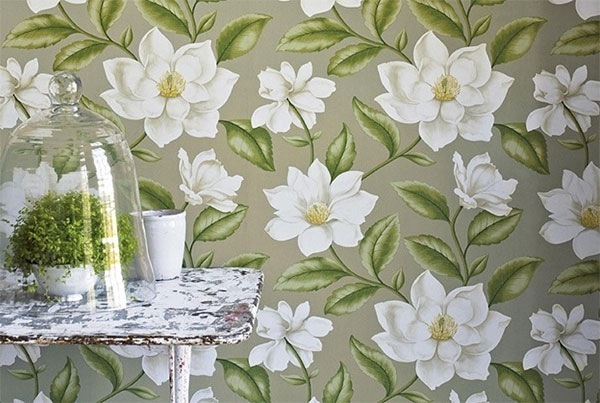 Several collections offer unique wallpaper designs which have an exclusive character and a chic appearance. 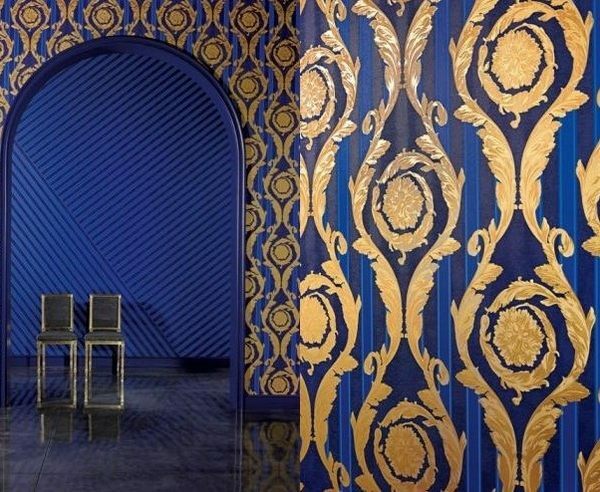 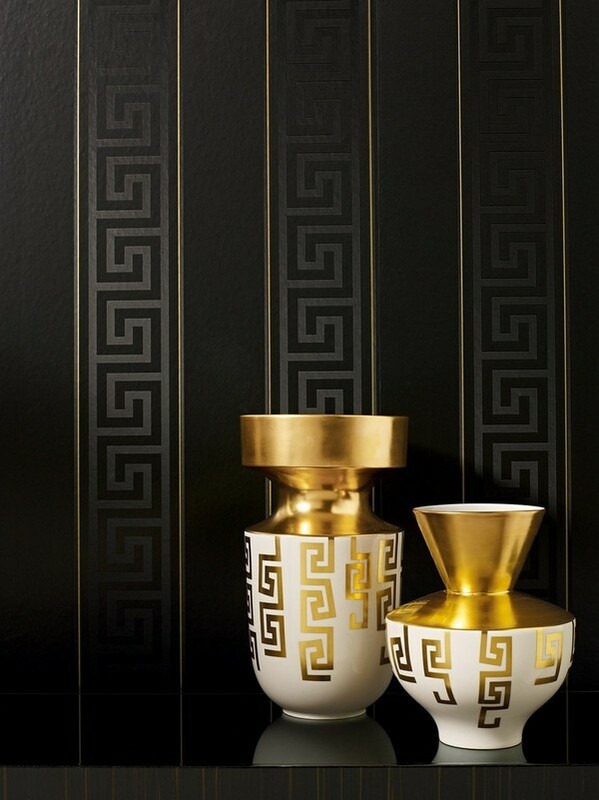 Versace home wallpaper collection is the latest addition to the products of the fashion house. 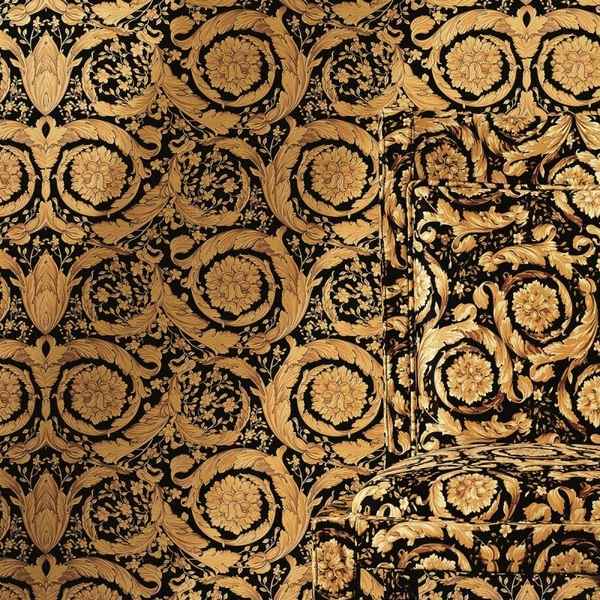 It has five main themes – “Barocco Flowers”, “Greek Key”, “Barocco and Stripes”, “The Herald” and “Creamy Barocco” and is instantly recognizable for the exclusive and luxurious materials and abundant amounts of gold and silver. 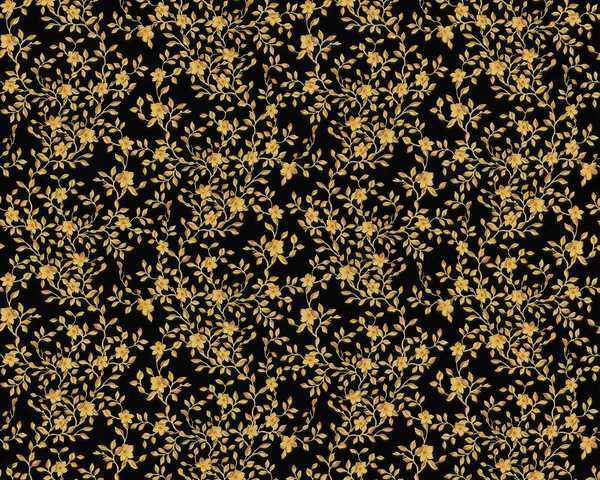 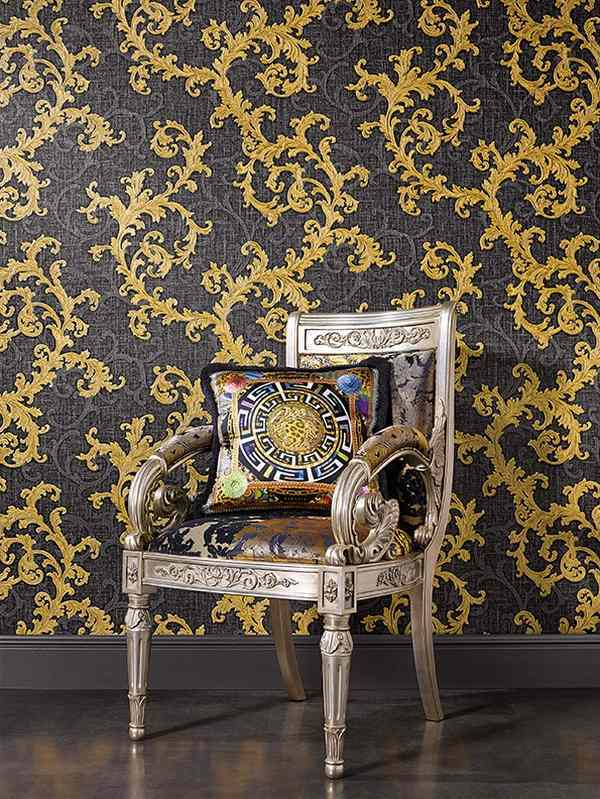 Barocco Flowers features deep black, gold, crème and silver-grey colors and ornate acanthus patterns. 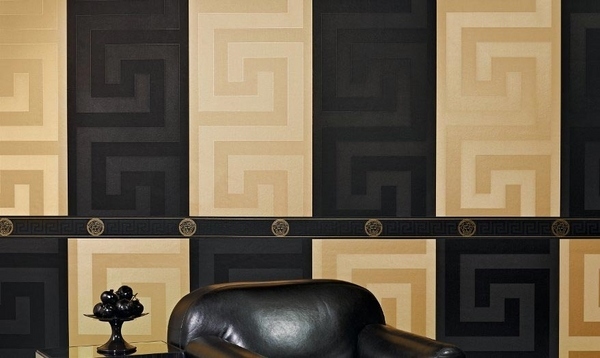 Greek Key features straight lines and a more masculine design. 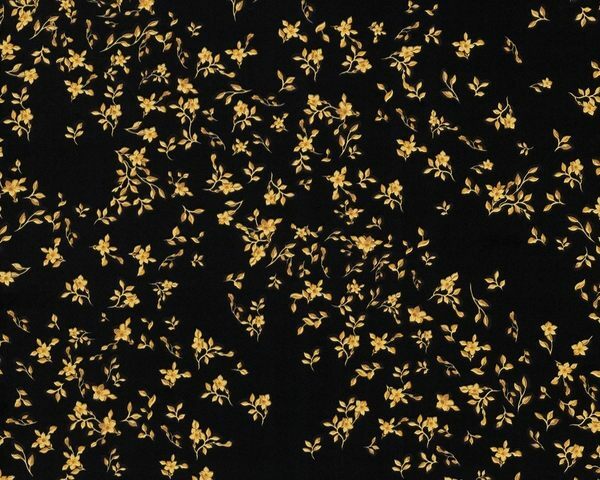 Extravagant and glamorous, with rich gold, black and creme, the wallpapers are extremely stylish and luxurious. 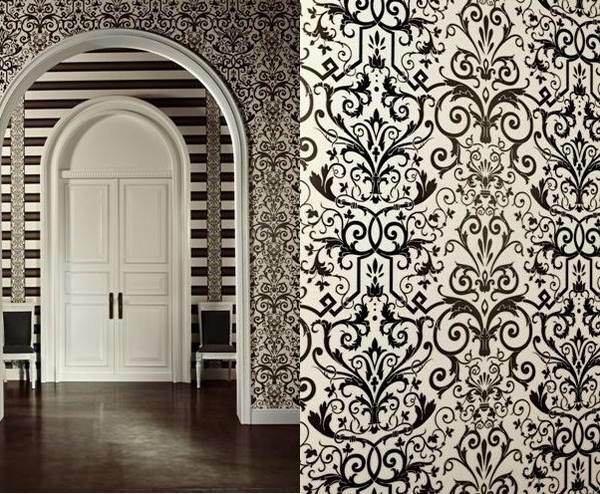 The Herald, Barocco, and Barocco and Stripes are impressive with the royal grandeur. 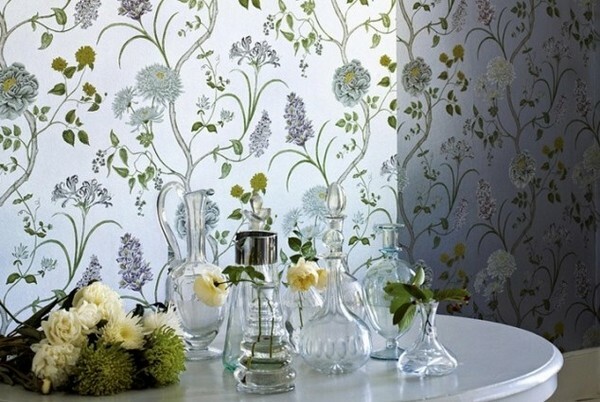 Stripes and floral patterns in elegant colors are perfect for classical and exquisite decors.